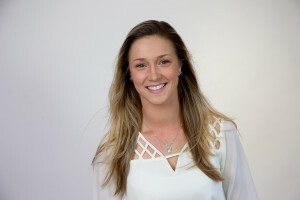 Meet Kathryn Boyd, business manager at Re-Energise Physio on Parton Road, Papamoa. As the “face” of Re-Energise Physio, Kathryn’s role includes making links between the community and the practice. Kathryn is perfectly suited to this role. Having lived through the trauma of the Christchurch earthquakes, Kathryn has a deep empathy for people and an understanding of the importance of community. “In face to face professions you need to be able to empathise with all situations and make others feel comfortable enough to feel like they can have a conversation with you about almost anything,” says Kathryn. “Something as traumatising as an earthquake, or other disaster, effects people differently and each individual will take however long they need to in order to process it and get over it – or at least try. As well as being business manager at Re-Energise, Kathryn is a dancer, performer and teacher. She holds a Bachelor of Performing Arts from NASDA (National Academy of Singing and Dramatic Arts) and teaches at Otumoetai Intermediate. Her advice for the children she teaches, and for any dancer, is to listen to their bodies. “If your body is telling you to slow down or enough is enough, stop!” says Kathryn. “If your body is working overtime to keep running at the pace you are asking it to, injuries can happen. “Find a physio who is realistic. We all know it’s not an option to be told you can’t dance for one or two weeks, especially when coming up to competitions, shows and exams. And of course, seek out a trustworthy physiotherapist who can give you the best advice, treatment and rehabilitation, based on your personal situation.